Single action revolver built on a Pre-War frame. Two-piece walnut grip. Six round fluted cylinder. 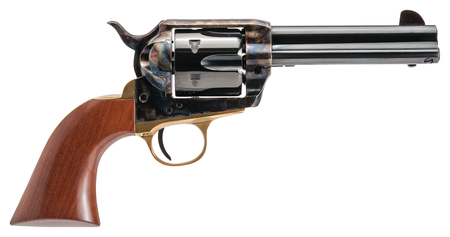 Designed for the target shooter, historic reenactors, Old West firearms collectors.